Yuin University’s accreditation agency is recognized by the US Department of Education (USDoED). The Department provides oversight over the postsecondary accreditation system through its review of all federally-recognized accrediting agencies. The Department holds accrediting agencies accountable by ensuring that they enforce their accreditation standards effectively. 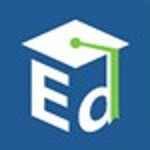 The Secretary of Education is required by law to publish a list of nationally recognized accrediting agencies that the Secretary determines to be reliable authorities as to the quality of education or training provided by the institutions of higher education and the higher education programs they accredit. [U.S. Department of Education 400 Maryland Avenue, SW, Washington, D.C. 20202; Tel: (800) 872-5327] For more information and to verify please visit www.ed.gov. Yuin University is a member of the Council for Higher Education Accreditation (CHEA). A national advocate and institutional voice for self-regulation of academic quality through accreditation, CHEA is an association of 3,000 degree-granting colleges and universities and recognizes 60 institutional and programmatic accrediting organizations. CHEA is a non-profit organization, which acts as the national policy center and clearing house on accreditation for the entire higher education community throughout the U.S.A. and its main mission is to promote academic quality. [Council for Higher Education Accreditation, one Dupont Circle NW, Suite 510, Washington, DC 20036; Tel: (202) 955-6126, Email: chea@chea.org] For more information and to verify please visit www.chea.org. Yuin University is a member of the Transnational Association of Christian Colleges and Schools (TRACS), a national institutional accrediting agency. Yuin University was awarded Pre-Accreditation (Candidate) status on April 24, 2018 which is effective for a period of five years. The United States Department of Education (USDOE) and the Council for Higher Education Accreditation (CHEA) recognize TRACS. [TRACS at 15935 Forest Road, Forest, VA 24551; Tel: (434) 525-9539; Email: info@tracs.org] For more information please visit www.tracs.org. Sacramento, CA 95833; P.O. Box 980818, West Sacramento, CA 95798-0818; Tel: (916) 431-6959] For more information please visit www.bppe.ca.gov. Yuin University is Student and Exchange Visitor Program (SEVP) certified since 1982 and uses Student and Exchange Visitor Information System (SEVIS) to issue Form I-20, “Certificate of Eligibility for Nonimmigrant Student Status,” to prospective international students after admitting them for a course of study. Prospective international students and their accompanying dependents then use the Form I-20 to apply for an F-1 visa (student visa) to enter the United States. The SEVP is a program under the U.S. Department of Homeland Security to manage foreign students and exchange visitors in the United States through the SEVIS. [Student and Exchange Visitor Program Attn: (Branch Name or Job Title), DHS/ICE, 500 12th Street SW Stop 5600, Washington, DC 20536-5600; Tel: 703-603-3400; Email: sevp@ice.dhs.gov] For more information and to verify please visit https://studyinthestates.dhs.gov/certified-school/19119.